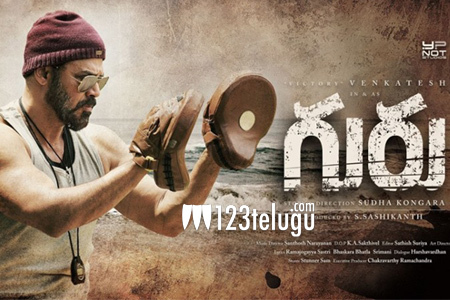 Victory Venky’s latest flick, Guru is currently in its post-production works. Meanwhile, the latest update reveals that the film will not release this week as announced earlier. A new date will be announced by the makers soon. Directed by Sudha Kongara Prasad, this movie has Ritika Singh as the female lead. Venkatesh will be seen as a retired boxer in this film. S.S.Thaman composes music for this movie.